Online or offline marketing. Use both at the same time. Your customer is multitasking–you should too! Should you add offline marketing to your plan? Take advantage of the growing multitasking employed by America’s consumer market. It’s no secret that with instant connection to a world of information at their fingertips, people are becoming more attached to their online devices. 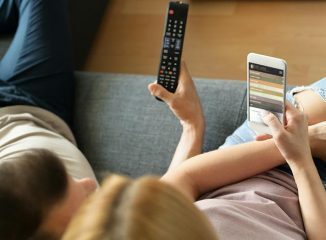 What may surprise advertisers is how these online habits relate to people as they watch television. Understanding that the online world is becoming tightly integrated into the offline world is essential to developing a successful marketing plan. By reaching your consumer on the multiple platforms that they utilize, and creating a significant presence both online and offline, you can establish a familiarity with them and further your brand image in their eyes…wherever they’re focused!